Google may putting all its weight behind the new Pixel smartphones as it moves to become a full-fledged, vertically integrated device maker — controlling hardware, software, and ecosystem design. But that doesn't mean it has forgotten about its other, niche smartphone projects. According to Cnet, the company’s first commercially-available Tango phone will go on sale next month, as confirmed by Google’s head of VR and AR Clay Bavor. The Lenovo-made Phab 2 Pro uses depth sensing 3D camera system that scans the world around you to deliver augmented reality experiences. 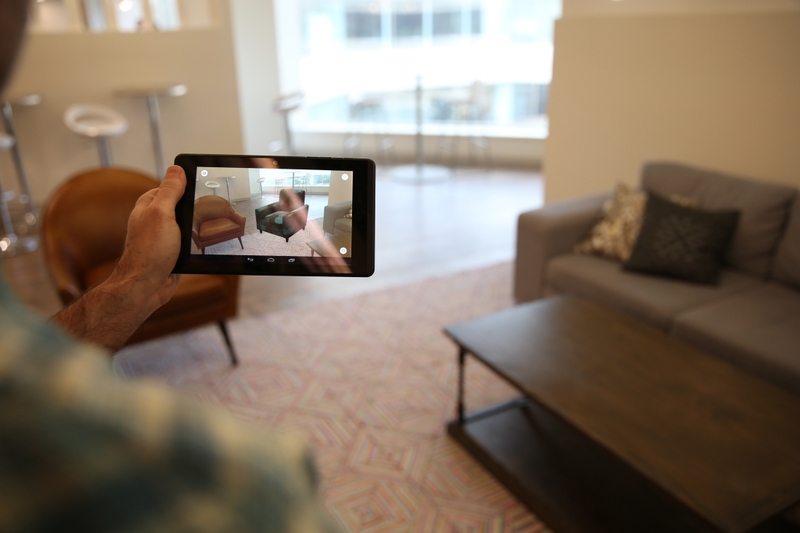 It can do things like scan real world objects and bring them into a virtual world, and it can position itself in a room via motion tracking while using the included fisheye camera to identify edges and corners, which can be used to build a three-dimensional map of indoor spaces. Spec-wise, the handset features a huge 6.4-inch Quad HD (2,560 x 1,440) IPS curved glass display, a Qualcomm quad-core Snapdragon 652 SoC alongside 4GB of RAM, a 4,050mAh battery and 64GB of local flash storage expandable via microSD card slot. Around back you’ll find a 16-megapixel camera and a fish-eye camera as well as depth and motion tracking sensors that are necessary to make Tango’s magic work, alongside a series of sensors under the hood. Other features include dual SIM slots, a fingerprint reader, a front-facing eight megapixel camera, dual-band Wi-Fi, Bluetooth 4.0, triple-array active noise cancellation and Dolby Atmos audio technology. The Phab 2 Pro was supposed to arrive in September but got delayed for unspecified reasons. It should sell for $499 unlocked in your choice of gray or gold aluminum finish. As Cnet points out, only the Google Pixel phones will be compatible with the Daydream VR headset, not the Phab2 Pro. The latter is all about augmented reality.